Wooly Block Adventure -- Let It Snow. Love stitching with wool. Our wooly block kit is available. The theme "Winter Wonderland" has been captured wonderfully by Cheryl Gunn of Waltzing With Bears. 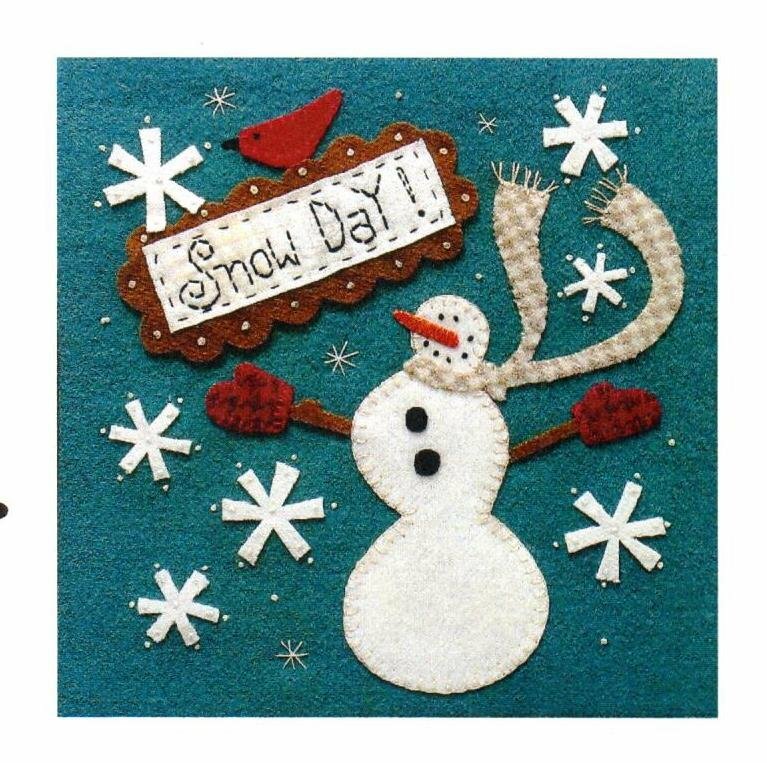 Your "Snow Day" kit will bring a smile to your face. Not making a quilt, no problem. A simple binding will finish this block perfectly. Put it in a shadow box and you have the perfect mini quilt.